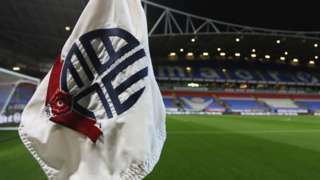 Bolton's Championship game with Ipswich on Saturday is back on after officials resolve a "critical IT failure" at their ground. 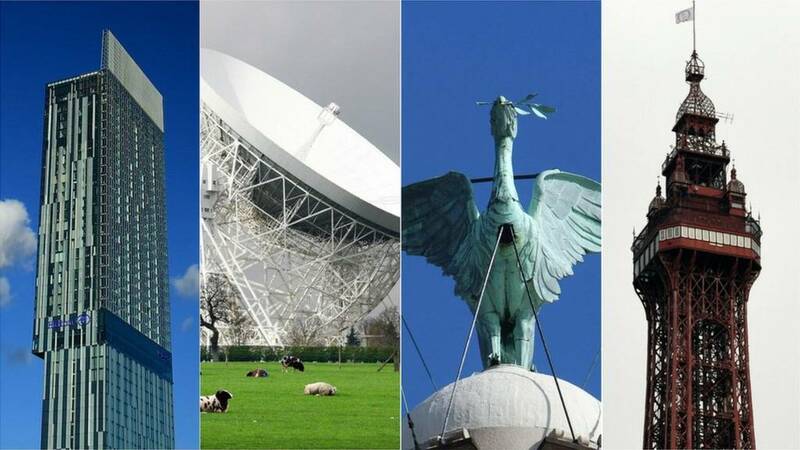 That's all from the live team for now, but we'll be back from 08:00 on Monday with more of the latest news, sport, travel and weather from around the region. In the meantime, this page will be updated automatically with content from across the BBC. There will be plenty of cloud tonight with clear spells in the early hours. Lows of 4C. It will feel more like spring with calmer weather over the weekend. It's not looking too bad for The Grand National on Saturday or the Manchester Marathon on Sunday. Do you pick your horse by the name? Or maybe you just like the jockey colours? BBC Sport have included all the details of runners, riders, trainers and form to help you decide who you will back at Saturday's big race at Aintree. M6 Cheshire northbound severe disruption, from J18 for A54 Middlewich Road Middlewich to J19 for A556. M6 Cheshire - One lane closed and slow traffic on M6 northbound from J18, A54 (Middlewich) to J19, A556 (Knutsford), because of a broken down vehicle. A museum with the last surviving 19th Century steam-powered weaving mill in the world is to reopen for the first time in three years. Queen Street Mill Textile Museum in Burnley was closed with other museums in Lancashire to save money. Despite finding funding for other museums last year, Lancashire County Council could not reopen the former mill because of problems with its chimney. The Grade I-listed building will open next week with certain areas closed to the public for safety reasons. It is hoped the steam engine will run once the chimney repairs are complete. M62 West Yorkshire westbound severe accident, from J23 for A640 New Hey Road to J22 for A672. M62 West Yorkshire - Slow traffic on M62 westbound from J23, A640 (Huddersfield) to J22, A672 (Rishworth Moor), because of an accident, which is now on the hard shoulder. Matrix sign set to 40 mph. Wales will no longer provide funding to Countess of Chester hospital if it refuses to take in its patients, the country's first minister has said. The hospital made a decision on Thursday that will impact thousands of people in Flintshire who use its services. Welsh patients can still use its A&E department and it will still accept maternity cases. The hospital said it would not be responding to Mark Drakeford's remarks. What would winning the Premier League title mean to the people of Liverpool? Liverpool are chasing their first league title since 1990, but what would it mean to the people of the city? Our colleagues at BBC Sport have been asking them. Quote Message: I work downstairs and live upstairs. Every morning, I open my curtains and there is Anfield. I am passionate about the club and this is the perfect job at my time of life. I work downstairs and live upstairs. Every morning, I open my curtains and there is Anfield. I am passionate about the club and this is the perfect job at my time of life. Quote Message: We may be in the last eight of the Champions League, but everyone wants the Premier League, without a doubt. You can hear it in the conversations. We may be in the last eight of the Champions League, but everyone wants the Premier League, without a doubt. You can hear it in the conversations. Quote Message: It's been that long since we won the league that it's the one trophy all Liverpool fans want to win. It's been that long since we won the league that it's the one trophy all Liverpool fans want to win. Quote Message: For the generations who haven't seen Liverpool win the league it would be an amazing experience. For the generations who haven't seen Liverpool win the league it would be an amazing experience. Quote Message: It is a priority, but we are battling against a magnificent Manchester City team so it's going to be difficult. It is a priority, but we are battling against a magnificent Manchester City team so it's going to be difficult. The BBC has rejected claims of bias after it moved live filming of Question Time from Bolton to London. Some social media users said moving filming from Bolton, where 58% voted to leave the EU, ensured a pro-EU audience in London, which voted to remain. 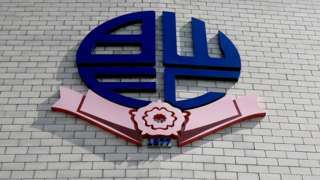 The BBC said it was looking for a new date to return to Bolton. More than 650 people are claiming for damages of up to £5m against Ticketmaster after the firm was a victim of hackers. Ticketmaster admitted it had suffered a security breach which affected up to 40,000 UK customers in June. Many claimants had "suffered multiple fraudulent transactions", while a third endured "significant stress", Widnes-based Hayes Connor Solicitors said. Ticketmaster has been approached for comment. The claim was issued at the High Court in Liverpool on Wednesday. M57 Merseyside northbound severe disruption, from J6 for A506 Valley Road to A59. M57 Merseyside - Stationary traffic on M57 northbound from J6, A506 (Kirkby) to A59, Switch Island, because of an overturned vehicle and all traffic being temporarily held. Most of the afternoon will be dry with the occasional bright or sunny interval. Just a small chance of a little rain, and warmer than recent days with highs of 13C. Video caption: Most of the afternoon will be dry with the odd bright or sunny interval. Highs of 13C.Most of the afternoon will be dry with the odd bright or sunny interval. Highs of 13C. 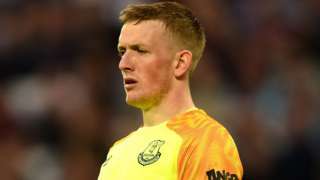 Everton manager Marco Silva says he is "not happy" with Jordan Pickford after he was allegedly involved in a street fracas. M62 West Yorkshire eastbound severe disruption, from J22 for A672 to J23 for A640 New Hey Road. M62 West Yorkshire - Stationary traffic on M62 eastbound from J22, A672 (Rishworth Moor) to J23, A640 (Huddersfield), because of all traffic being temporarily held and animals on the road. From fabulous frocks to fantastic fascinators, it's all about the glitz and glamour of Ladies Day at Aintree today - as these happy punters will attest. The pink carpet has been rolled out and there are big prizes up for grabs in the "best dressed" competition as well as plenty of celebs to spot. TV star Alison Hammond, who broadcasts for ITV's This Morning programme, was spotted taking a selfie with Tanya Bardsley from Real Housewives of Cheshire. More than 50,000 people are expected at today's races despite a somewhat cloudy and breezy start to the day. And let's not forget about the actual horse racing of course! The horse will be under starters orders at 13:45. The main one to watch is the 15:25 Melling Chase, while they'll be going over the national fences in the 16:05 Topham Chase. Ex-Watford owner Laurence Bassini says he is very close to striking a deal to buy struggling Championship club Bolton Wanderers. The "sheer volume" of patients giving evidence to an independent inquiry has pushed back a report into his malpractice, an official said. M60 Greater Manchester anti-clockwise severe disruption, at J24 for A57. M60 Greater Manchester - M60 lane closed on exit slip road and heavy traffic anticlockwise at J24, A57 (Denton Island), because of a broken down vehicle. The gates are open at Aintree for the biggest day in Merseyside’s social calendar - and dozens of glamorous punters are already showing up donning their most stunning attire. A crowd of 50,000 is expected at the course for the popular day of racing action - when more than a few proseccos may be sampled of course. Traditionally today is more about the fashion than the racing. But it's not all about the best-dressed competitions, as the role women play in the sport will be celebrated today in the form of a Grand Women’s Summit. Racing starts at 13:45 with the big race of the day being the JLT Melling Chase worth £250,000 in prize money.